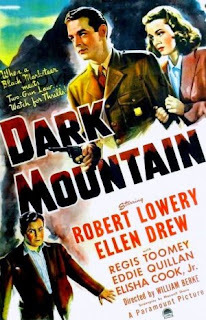 Whilst perusing the “Crime” catagory of Pub-D-Hub on my ROKU box, I tripped across that 1944 thriller, Dark Mountain. Truth be told, I don’t have much use for movies from the 30s. They’re made in a completely different way, and, like so many other things, I just don’t like them. But movies beginning in about 1942 (the war years and beyond) really turn me on. Dark Mountain was probably shot in one take and in a couple of weeks tops. It’s got everything, all packed into less than an hour. Love, betrayal, good guys (in this case, the U.S. Forest Service), bad gangsters, a wonderful girl, a goofy side-kick, comedy, a car chase, a cute dog, a woodie station wagon, and a happy ending. There’s not much of a story to get in the way of the beautiful mountain scenery, classic cars, and sometimes snappy dialog. Wonderful girl marries a gangster, but she doesn’t know he’s a gangster. She gets caught up in a murder investigation and goes to her old boy-friend (the forest ranger) to be saved. Bad guy dies, good guys gets girl, fade to black..........The war is in the background only, as part of the fabric of life in these United States in 1944. As our hero we got Kansas City product Robert Lowery. Bob’s birth name in 1913 was Robert Larkin Hanks. Why he didn’t keep that handle is beyond me--sounds fine to me--In any event, Bob was a superb athlete, playing football and boxing as well as playing baseball for the Kansas City Blues before an injury knocked him out of the game. Bob was well liked, had a comfortable life and didn’t take things too seriously. In later life he went into the celebrity travel cruise business with Jackie Coogan. Bob collected things.....like tie pins, political campaign memorabilia, and golf memorabilia. Bob died too early of a heart attack in 1971. Wish I coulda known you, Bob. Also from Kansas City was Ellen Drew (born Esther Loretta Ray in 1915) who played the lady fair in this photoplay. Her movie and TV work extended from the 30s into the 60s. She was one of those girls who went to Hollywood in search of fame and fortune and somehow found it--albeit by chance. She was actually discovered working at an ice cream parlor by William Demarest who arranged to have her signed by Paramount. She died of a liver ailment at age 88 in Palm Desert, California. This feature was directed by William Berke, who directed literally scores of “B” movies of a variety of genres in the 30s, 40s, and 50s before turning to directing television. 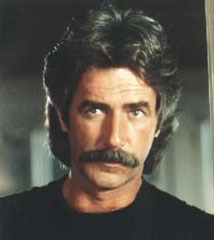 We lost Bill at age 54 in 1958 in El Lay. Seems many of the Hollywood people of this age range dies too early. Very sad. Worth a look just for the mountain scenery, the forest fire, and the woodie station wagon emblazoned with U.S. Forest Service logos on the doors.